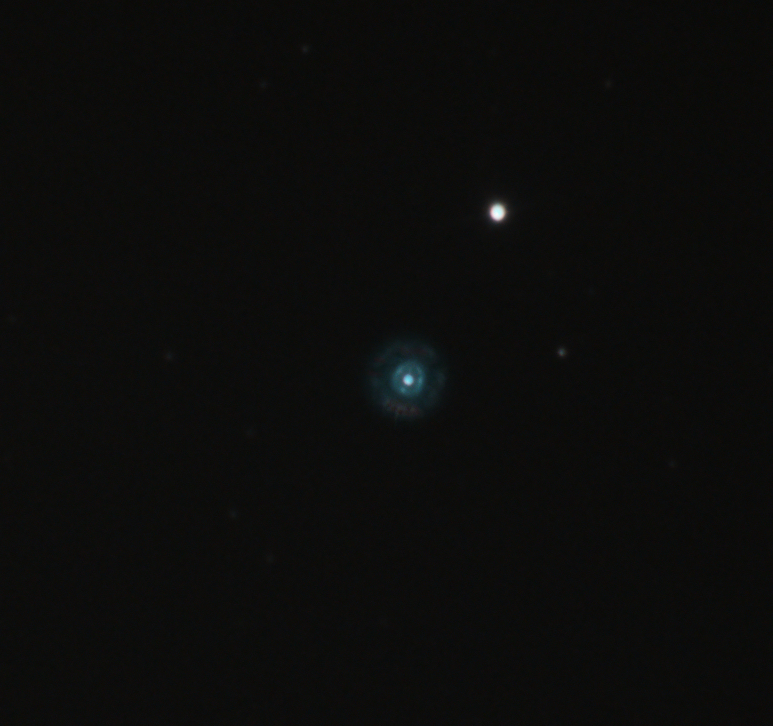 Here is a pair of images of the Eskimo nebula, both taken in an urban setting with an almost full Moon in the sky. The first image is taken with a barlow inserted in the optical train to increase the focal length for this small planetary. The image was not guided as the exposures were relatively short, but there was a bit of a wind which meant that only 15 frames of 45 captured were usable. These were manually aligned using Images Plus to keep things as sharp as possible. I didn't spend a lot of time on noise reduction as the exposure was short and the amount of noise reduction required would have blurred the fine detail. The second image is an HDR combination of 132 three second frames for the core and 29 thirty second images for the outer areas. During the first image the Moon was less than 11 degrees away and Full moon was the next night! During the second the Moon was one day past full and about 67 degrees away from the nebula. HDR combination of 396 seconds and 14.5 minutes for the outer shell. Calibration, stacking, DDP and initial microcurves in Images Plus . High pass filtered soft light combine, contrast layering, deconvolution and sharpening in Images Plus. HDR layer combine in Images Plus Masked noise reduction, sharpening and contrast enhancement applied in Images plus. 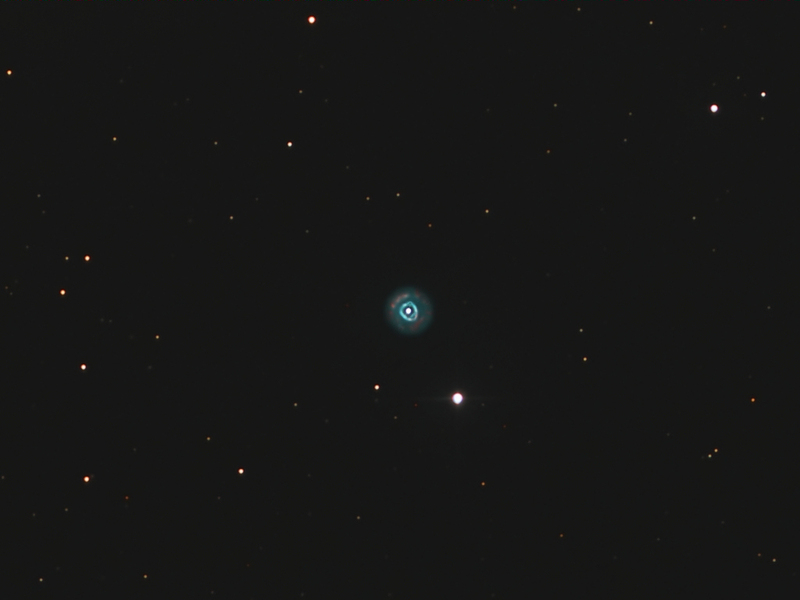 First image binned and cropped then a star reduction applied. Final tweaks in Paint Shop Pro.